The Multi-purpose Undercover Hard Courts are available for hire for your preferred indoor sport. 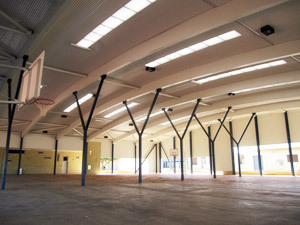 Features: 2 undercover courts, lighting, toilets, storage room, PA system, netball hoops, basketball hoops, tennis court setup, volleyball setup. If you would like to book this facility, please complete the Hard Courts EDHS Hire Form.